Casual. Quaint. Quality. 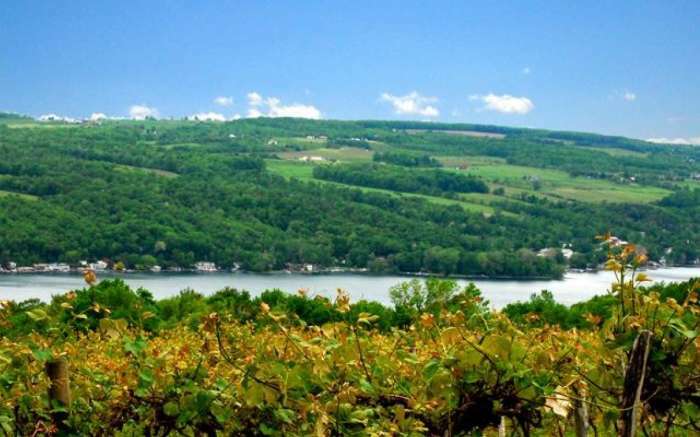 Keuka Lake Vineyards is tiny compared to other Finger Lakes winemaking operations, but their reputation for producing excellent wines transcends their physical size. "People are genuinely surprised at the quality of wines that we make," said Katey Larwood, winemaker. "We're so small, and people don't necessarily know our name, but we sell our wines in a lot of the top restaurants in New York City." Their small size allows them to produce each wine individually, on a small scale, which means they have more time to pay attention to the minute details. "That's when things get fun!" said Larwood. And it doesn't hurt to sip on a glass of wine while taking in the vineyard's spectacular natural beauty. Breathtaking views of Keuka Lake are accented by rolling vineyards, a rustic bar, and a quaint tasting room in the old farmhouse. The winery features high end, dry, European-style wines, specifically two types of Rieslings: Falling Man Vineyard and Evergreen Lek. The two vineyards that produce these wines are less than ten feet apart, but the Falling Man brings zesty, fruity notes while the Evergreen Lek tends to have spicy, fennel, and mineral undertones. "People are usually taken aback when we mention they are produced right next to one another," said Larwood. The tasting room is located within the old Taylor Wine Company farmhouse, which itself brings a long and storied history to the property. Tastings are $5, and since the tasting room is small, groups larger than four or five people should call ahead. With the intimate setting, you'll get a one-on-one casual experience with the vineyard's knowledgeable staff, whether you're a novice or a connoisseur. 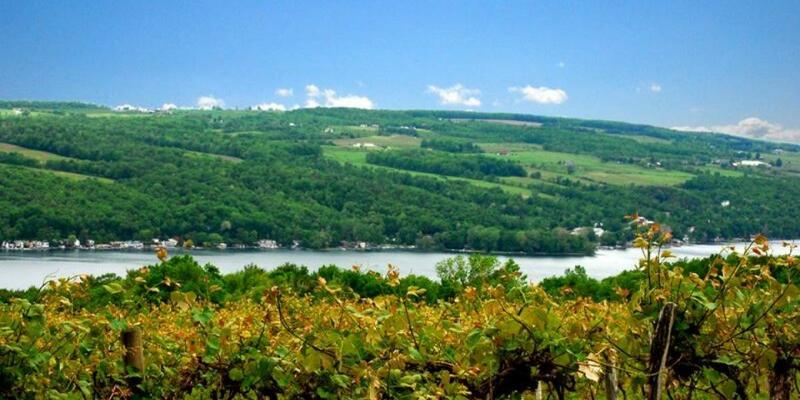 Recently, Keuka Lake Vineyards has been pulling in awards from some of the world's top critics. The 2014 Falling Man Vineyard Riesling earned 91 points, and the 2014 Evergreen Lek Vineyard Riesling earned 90 points from Wine Spectator. The 2014 Cabernet Franc earned 91 points from Wine Enthusiast, and was chosen as an Editor's Choice.